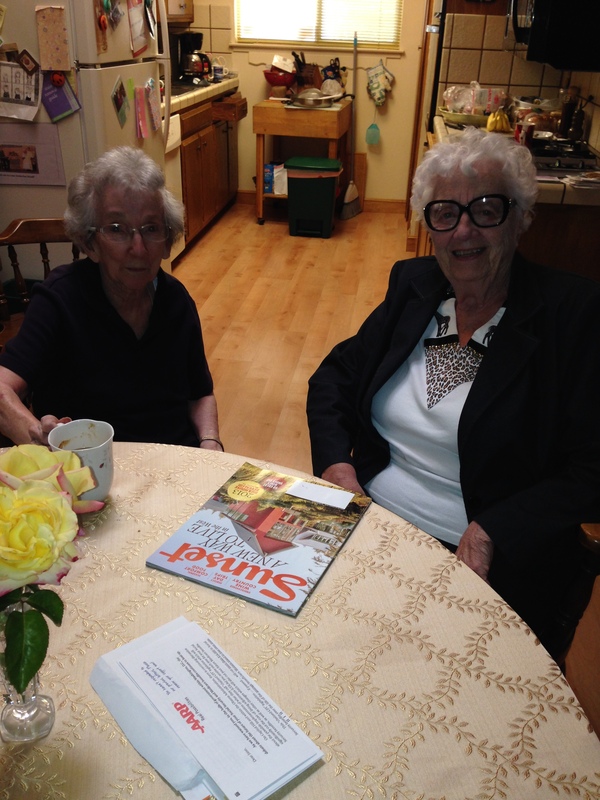 We made a stop in San Francisco so grandma could see her best friend of EIGHTY YEARS (!!! ), Jane. I can’t even imagine knowing someone for that long. 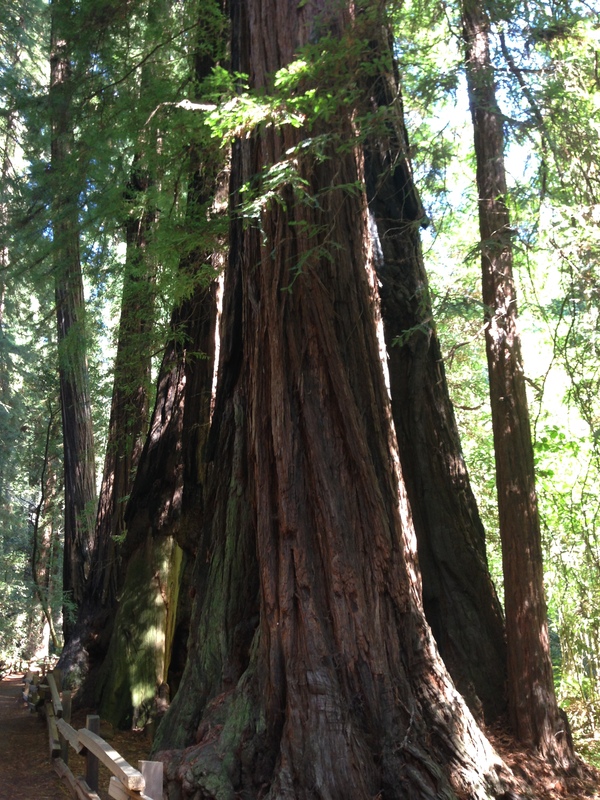 We also all wanted to see the redwoods. 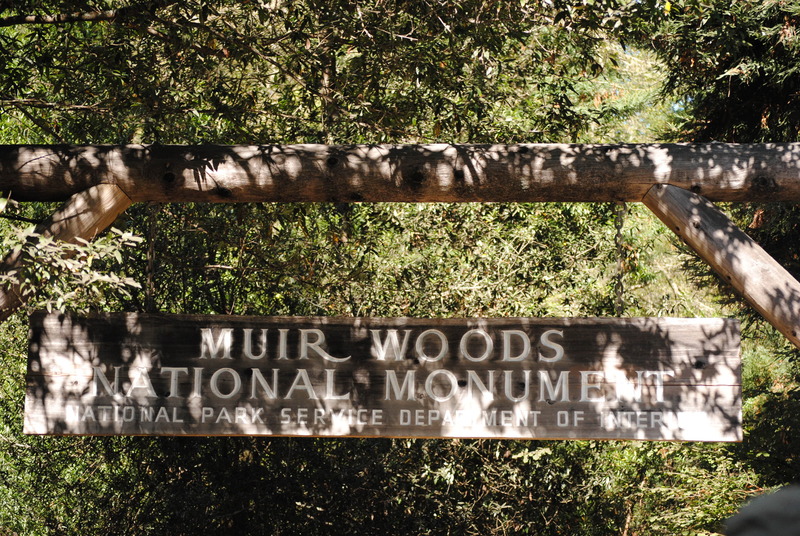 So our first morning there we got up early and drove to Muir Woods. Now, if you ever need to drive there, especially in a giant Yukon when you are use to driving a little BMW, you should take a xanax first. Now, I know that sounds sort of counter productive and not very safe, but trust me. It’s safer than the heart attack you are going to have driving up the mountain. 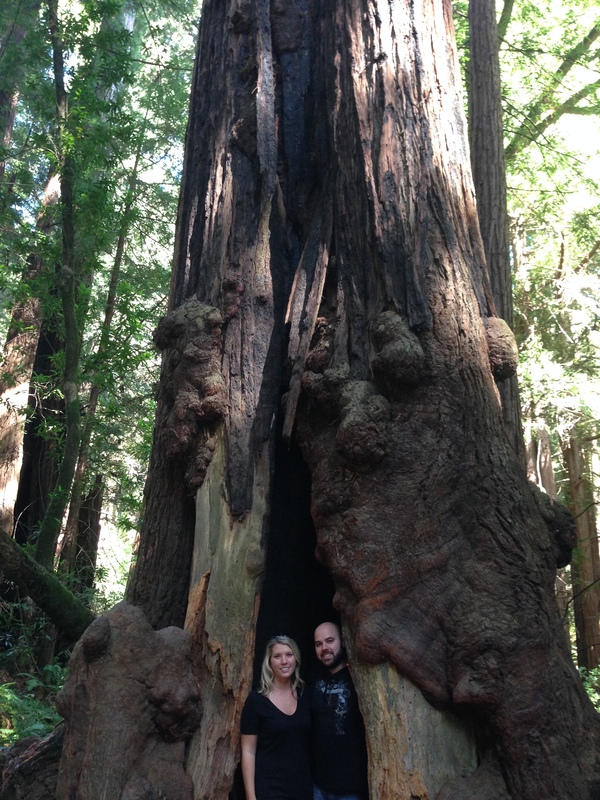 The only photo the Husband was brave enough to take. Most areas of the road didn’t have guardrails. 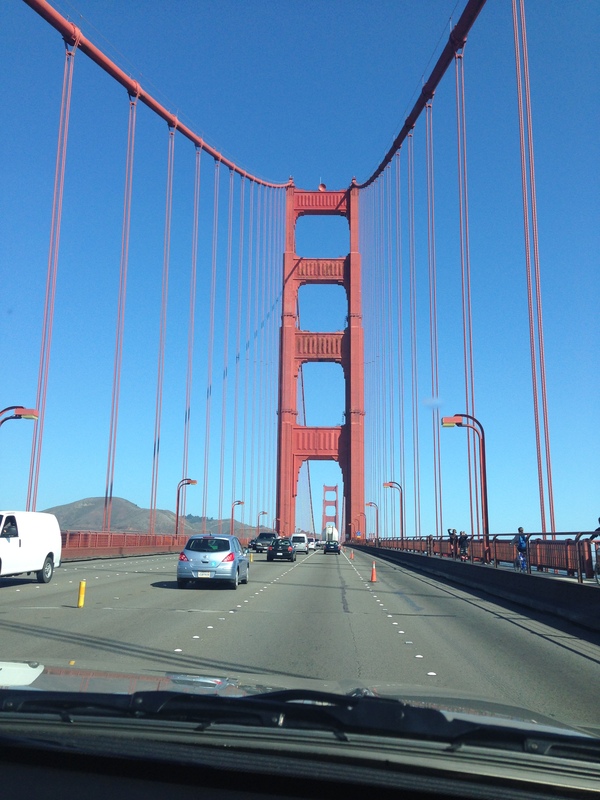 The ride over the Golden Gate was pretty though. 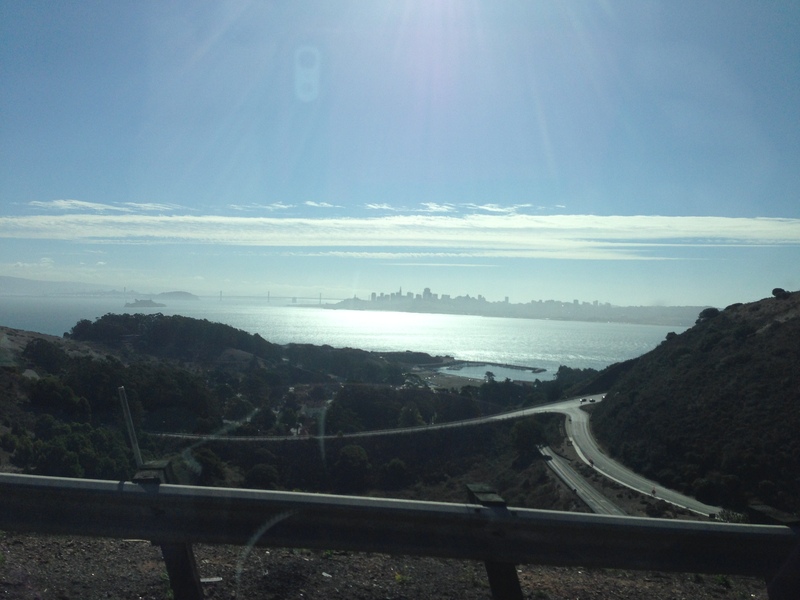 And there is a lookout on the other side with a beautiful view of San Francisco. Somehow, we actually made it there alive. And it was worth the treacherous drive and the mild panic attack had by everyone but grandma. 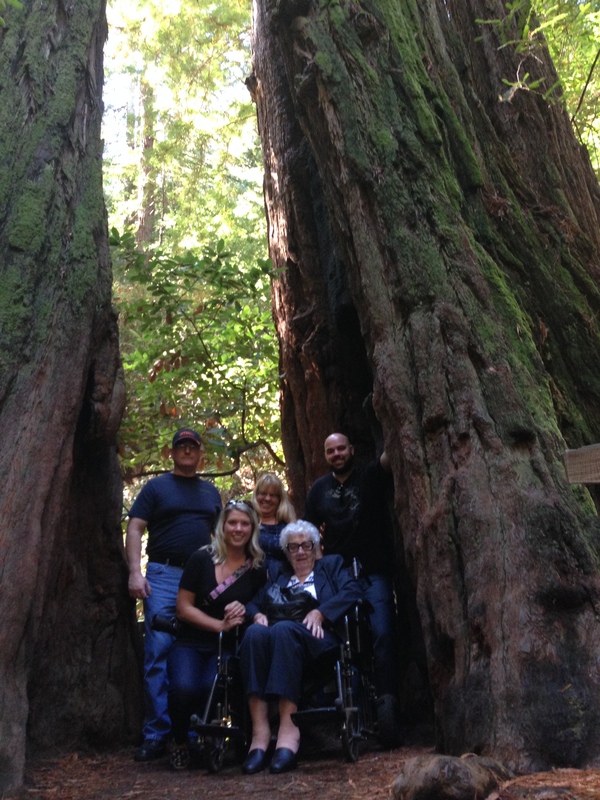 So we made grandma get in a wheelchair and went all over the forest. 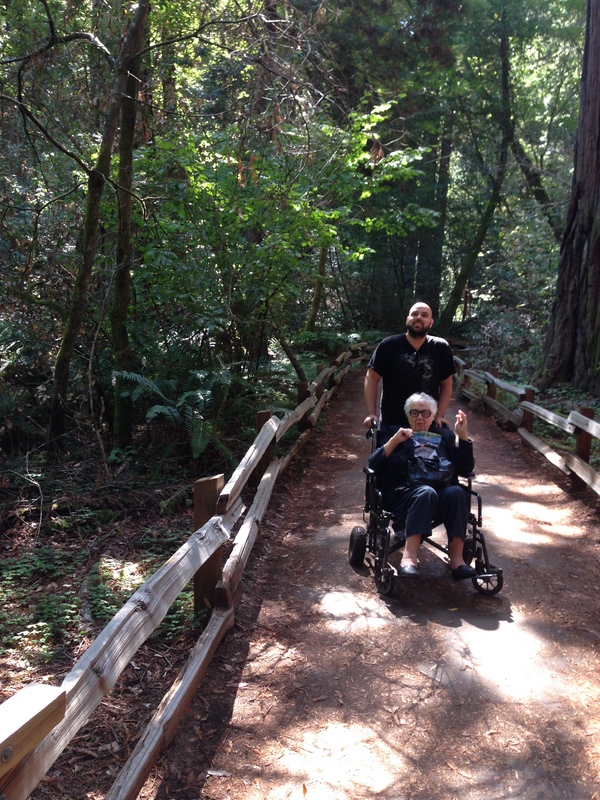 Most of the areas had a wooden walkway and it was pretty easy for the Husband to push grandma around. 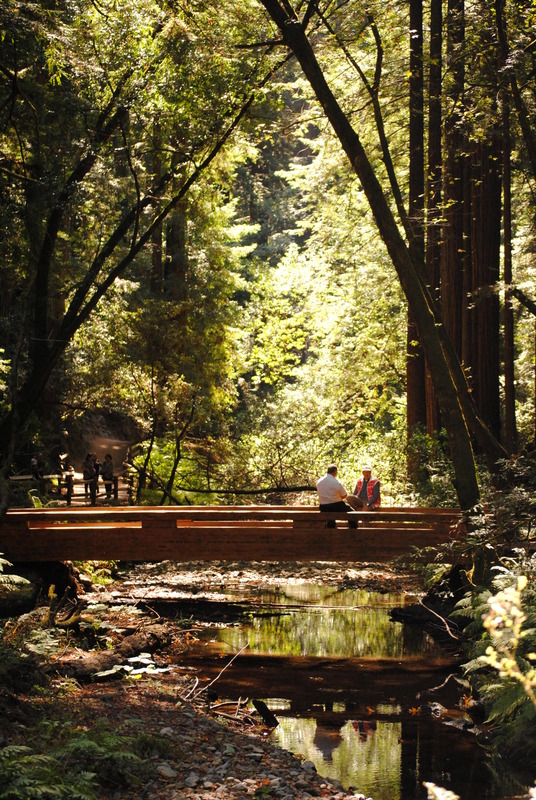 Honestly, it’s hard to capture just how amazing this forest is. 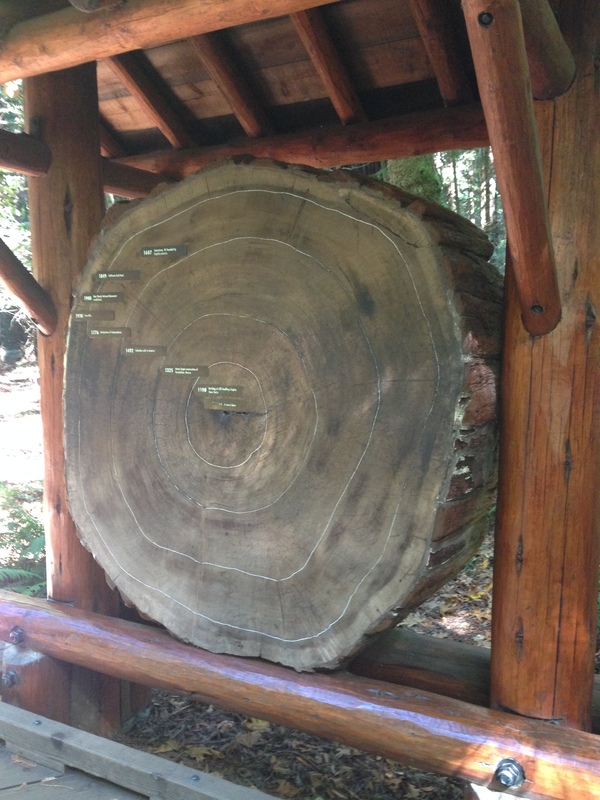 Just when you think you’ve seen the tallest, widest tree, another tree that looks even bigger shows up! 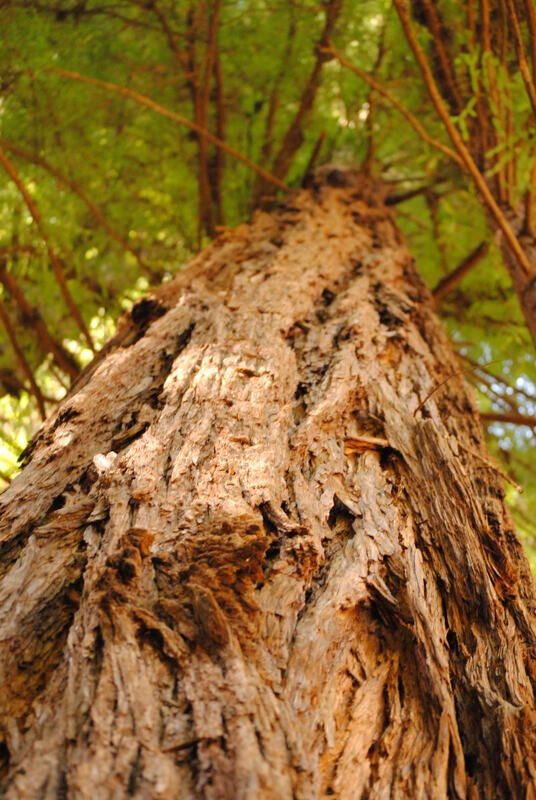 It’s incredible to think about how old these trees are and how they managed to survive so long! And of course there are some pretty good family photo ops. 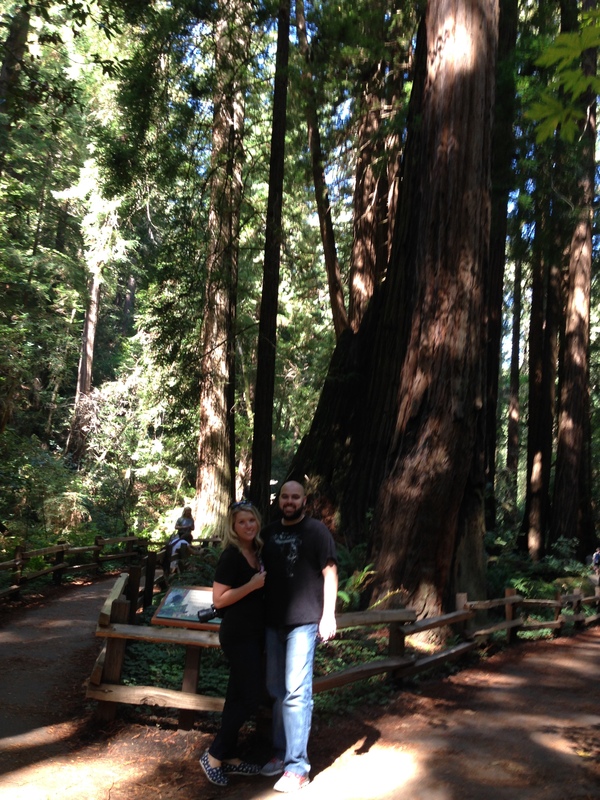 These trees look so massive in these photos, and they don’t even do them justice!